There are currently 123 (Subject to change due to construction) disabled parking spaces on campus. These spaces can be located by going to "Parking Lots with Statistics." Parking in disabled spaces requires a State of Georgia authorized tag or hanger and a VSU permit. Individuals displaying these appropriate permits are allowed to park in disabled, Reserved, Staff, Students, and Timed (for more than allotted time). 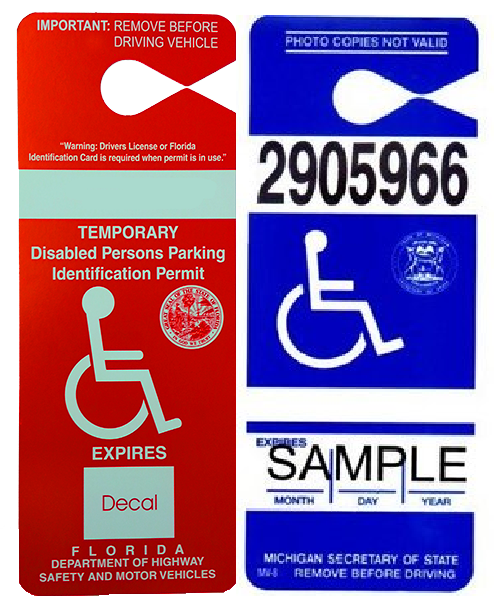 Disabled hang tags or license plates must be registered with Parking & Transportation before parking in disabled spaces (permitted hangtags). It shall be unlawful for any person to stop, stand, or park any vehicle in any area directly connecting with a parking place for persons with disabilities which area is clearly designed and designated for access to such parking place for persons with disabilities. Citations given to those who park without the official State of Georgia authorized tag or hanger will be issued State of Georgia citations or VSU citations. The fine is a $105 minimum. Students with either a permanent or temporary disability may call at 293-PARK or come by the Parking and Transportation Department to arrange for a temporary medical permit. This is not a disabled permit!! It is a permit that allows you to park in timed parking spaces for longer than the allotted time. To obtain a temporary medical permit you must have medical documentation and a valid VSU permit. Disabled parking permits must be obtained through the Georgia Department of Driver Services. The Georgia Disabled Parking Laws can be found at https://www.dmv.com/ga/georgia/disabled-drivers .